It is not that hard to get great music from YouTube videos. 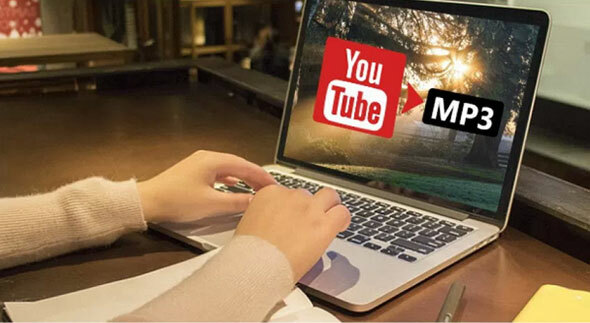 If you have listened to a few songs that you truly liked, there is a way you can transfer them to your PC or MP3 music player – that is to extract MP3 from YouTube. The best thing about it is that it is totally free of charge and can be used anytime you have a new song to convert. This special method is a software program called Free Audio Editor, a comprehensive tool with a number of free tools. 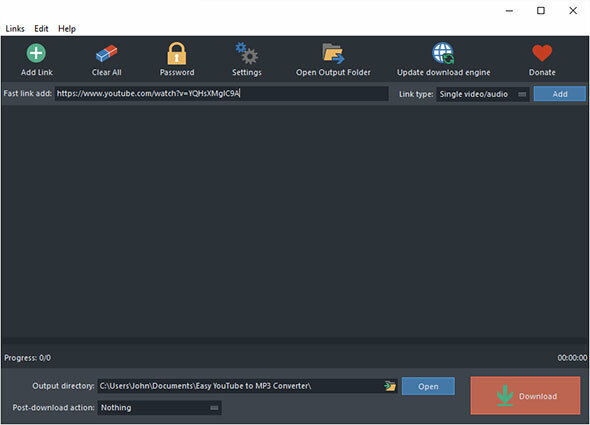 This software is all you need to extract MP3 from YouTube. As soon as you activate it, this audio tool prompts you to download and convert your YouTube video to MP3. The thing I love about it is that you can covert as many videos as you want in each session. As a result, you can enjoy YouTube music channel anytime, anywhere. Now that you know the trick, read on to understand how this free program works. Paste the URL in the “Fast link add” bar, choose the link type from the “Link type” menu. Click “Add”. Click “Add Link” add choose “Add links in batch” if you want to batch download YouTube video from multiple URLs. There are also options for downloading from playlist(s), user(s) as well as importing URLs from text file. After that, choose MP3 from the “Format” menu. You can also see the thumbnails, resolution, codec, size and more info of the video. The “Profiles” menu is used to choose quality presets for the output audio. Next, click “Download” to start downloading the video. When the video downloading is finished, the videos will be converted to MP3 format automatically in no time. 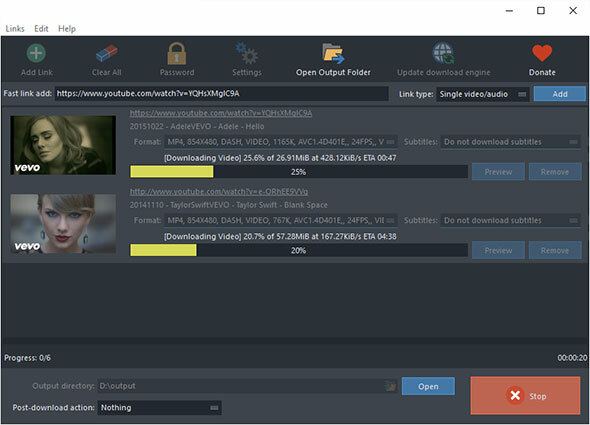 This whole process of downloading and converting YouTube videos is super quick. And when the program is done converting, you can directly locate the MP3 files by clicking “Open”. If you click “Settings”, you will locate better features that will improve your downloading and video conversion process. 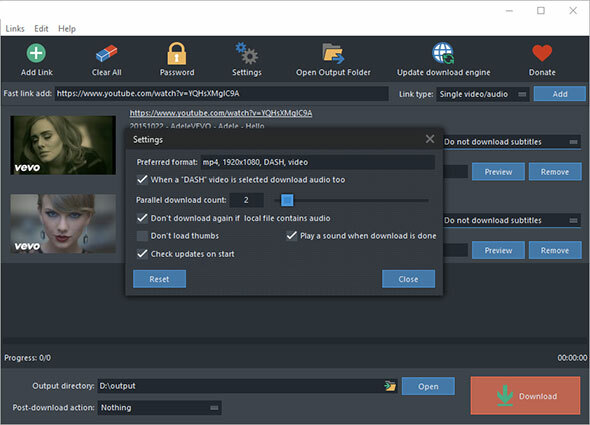 Download audio when a DASH video is selected, set max parallel downloads, don’t download again if the local file contains the same video and don’t load thumbs are some of the advanced settings you will find. 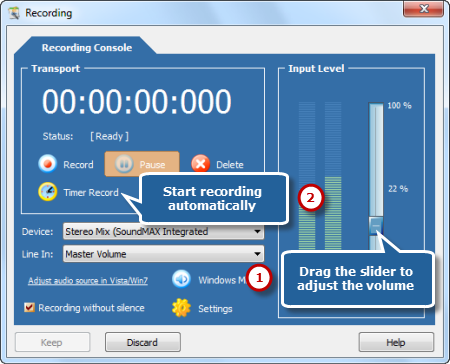 Click “Import from Video” directly on your installed Audio Editor software. A new Window will appear asking you to “Select the file(s) you want to convert. Use Move Up and Move Down to change the order”. All the files will be arranged based on how you add them. If you want to change this order, use Move Up or Move Down To clear some links, click Clear or Delete. Choose your output path as well as a path for the output files. Select MP3 here as it is your target and then set your Presets by clicking the drop-down list. Click Convert to process the files. Another point to note is that some YouTube videos are not downloadable at all. If you encounter such a video clip, make use of the recorder to record the audio. All the methods described here are proven to work; so, go on and use them. As you can see, you don’t have to be a technical guru to follow these simple directions. They are idiot-proof and easy to implement in no time at all. 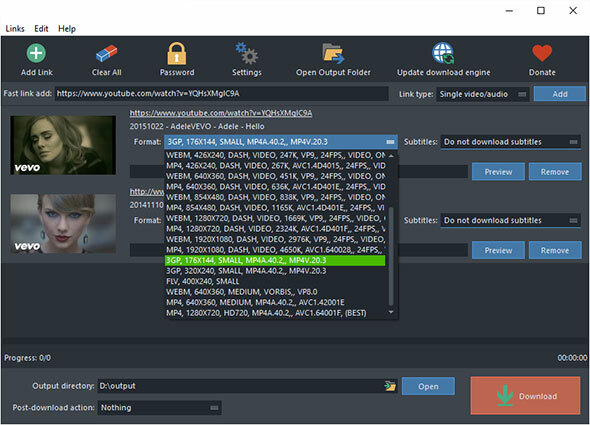 Additionally, you can extract MP3 from YouTube videos in batch at once, making this free software a valuable tool to keep. Free Audio Editor is something you should add to your computer right now, so that you can convert any YouTube video into an audio when you want to.